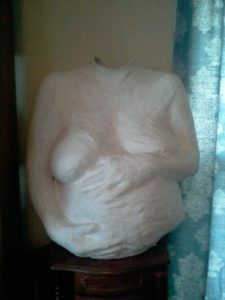 Create a unique work of art and a lasting memory of your pregnancy by making a plaster cast of your belly! This service includes all supplies, the casting process, extra mama pampering and clean up. Mothers also receive full instructions on finishing and decorating their own finished cast, or I can finish it for you. Call for pricing information an to make an appointment.